We all know how the recession has claimed many victims over the past 4 years, but probably one of the hardest hit sectors throughout the country, and indeed worldwide, is the retail sector. Throughout our towns and cities both independent retailers and large retail chains have been pulling down their shutters leaving behind a wake of vacant retail units. Shopping malls have also fallen fowl to this epidemic and none more so than the former Irish Life Shopping Mall in Dublin’s North city centre. The shopping mall which was opened in the 80′s hasn’t changed much in looks over the years. 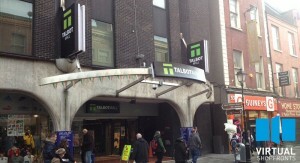 Whilst it used to be one of the most popular shopping destinations of it’s time, sadly this is no longer the case. 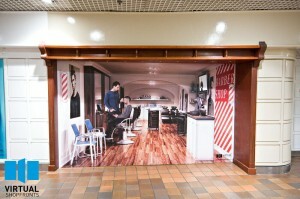 With outdated decor and a host of vacant retail units, very little shopping now takes place in the mall. The vast majority of footfall through the small centre is of people accessing Talbot Street from the Luas stop on Abbey Street or vice versa. Towards the tailend of last year, management at the shopping mall had had enough and decided that it was time to finally do something to perserve what is left there, to try and enhance the look of the place and to even attract new business. 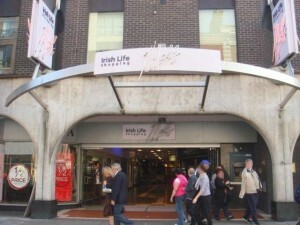 As of the start of 2013, the Irish Life Mall ceases to exist. A new lease of life has been breathed into the centre. A complete rebrand now sees the establishment of the ‘Talbot Mall’ and the inside of the shopping mall has been transformed thanks to Virtual Shopfronts. When we were first contacted by the shopping mall’s management company we immediately new that this was a project where we could truely make a difference. Over the past year and a half we have seen our Virtual Shopfronts transform deteriorating vacant retail units, entire shopping malls and retail high streets by bringing positivity and life back to what were once ghost like retail premises. On first inspection of the centre however we were confronted with an almost impossible task. We were immediately faced with numerous challenges due to the layout of a number of the shop fronts and the fact that the vast majority of them had shutter fronts and were not modern style designs. 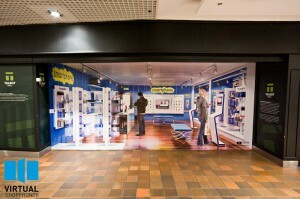 However it wasn’t long before we came up with solutions and not only for the vacant retail units. A complete rebrand of the mall was proposed along with the injection of a little bit of history of the surrounding area. 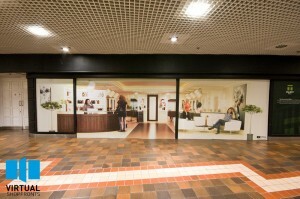 Following numerous discussions with management, Virtual Shopfronts got to work surveying the empty units of the shopping mall and putting a plan together to reenergise the space. With unattractive closed shutters addressed, old Irish Life Mall signage revamped, new Talbot Mall signage installed and our Virtual Shopfronts now proudly appearing throughout the small centre, the shopping mall has been given a new lease of life. Nicholas Polley founder of Virtual Shopfronts was extremely proud of the work that was carried out. “It’s not often you get to make a difference in the work you do, but I think we have done just that with the new Talbot Mall. It’s also great to see the immediate transformation that our Virtual Shopfronts have made to what were once unattractive vacant retail units and a deteriorating shopping amll. We have received hugely postive feedback from the client which is very satisfying. 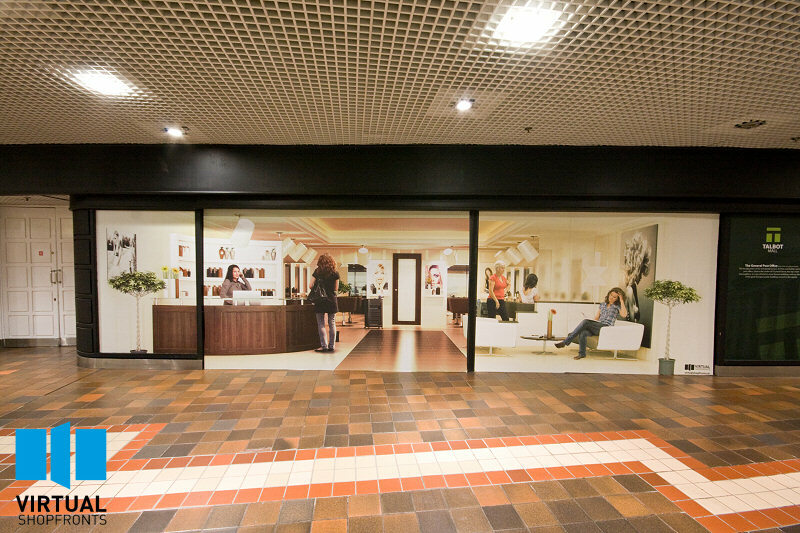 We have installed our Virtual Shopfronts all around the country but this project was particularly pleasing due to its challenges and the fact that the entire mall needed changing. 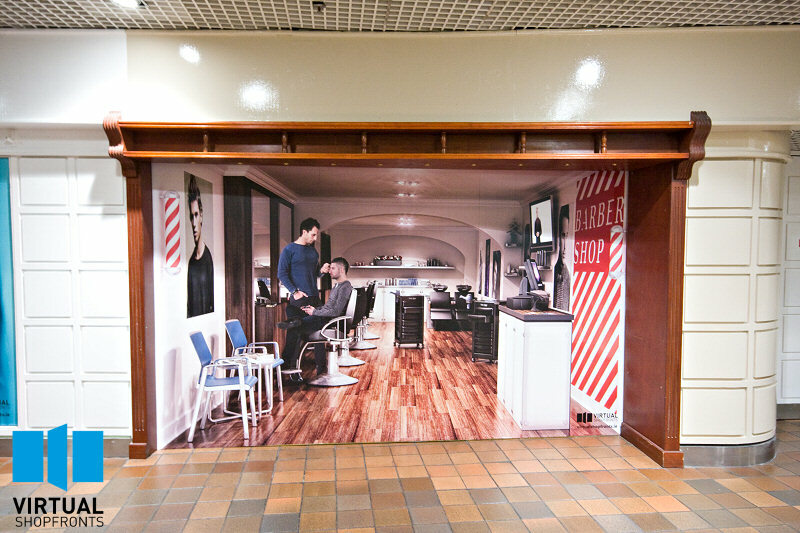 It’s one thing installing our Virtual Shopfronts in modern retail units, it’s quite a different story installing them in a shopping amll that contains very old style shop fronts.